Way of the Dodo: Felt Hat Day! Today is Felt Hat Day, and I have been waiting three-quarters of a year to wish you a happy one! And to offer you a link: a recipe for a Buster Keaton porkpie hat. Yes, a hat recipe is rare indeed! If you would like a tutorial on it, Dr. Moon Rat can help. The Damfinos are the International Buster Keaton Society, and they have a place on their website where you can purchase a Buster K. porkpie, if you aren't handy with felt-hat modification. 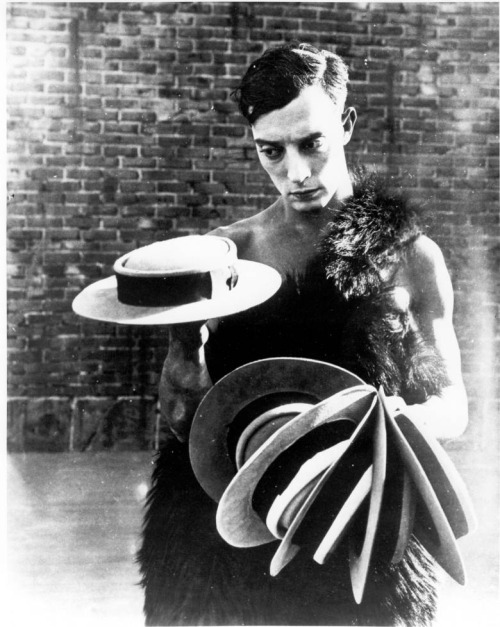 If you'd rather skip the hat, you can get some Buster Keaton films, at this interesting site for silent movies: Kino Lorber.